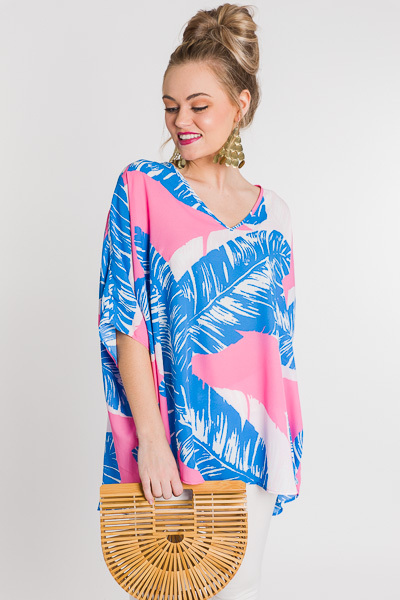 BEST-SELLING fit in a new palm print! 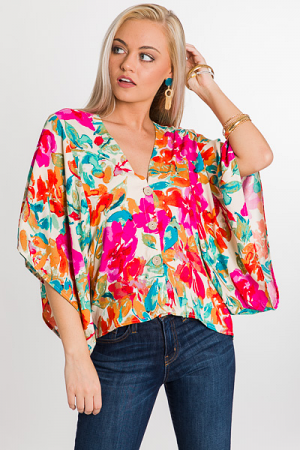 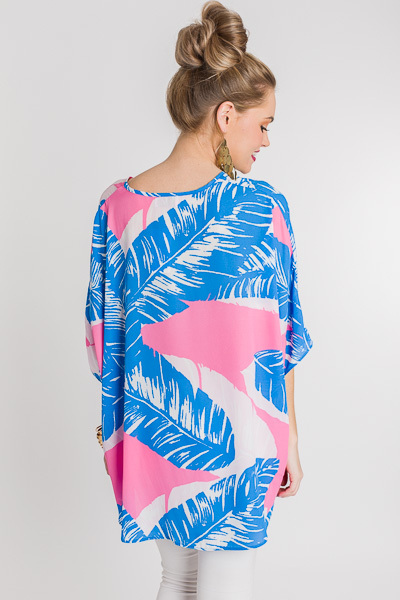 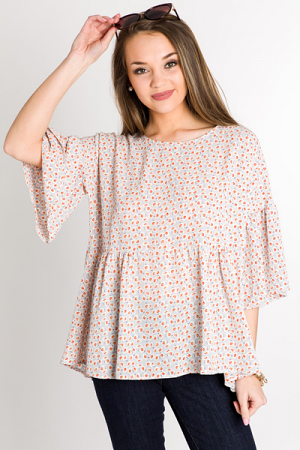 This tunic has an oversized boxy shape and bright, springy palm print! 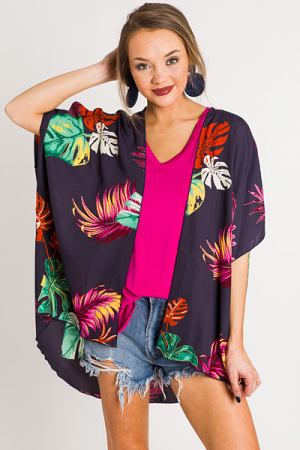 The added length gives you the option to tie one side in a knot for a cool look.